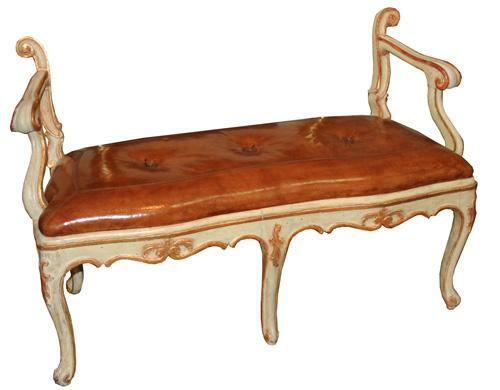 An 18th Century Italian Louis XV Polychrome and Parcel Gilt Backless Window Seat (or for the foot of a bed) No. 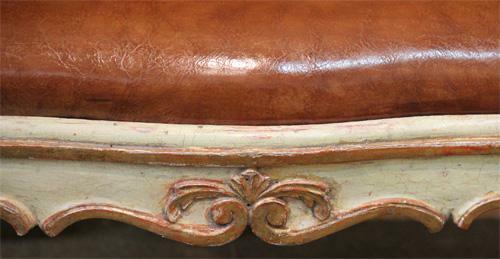 2878 - C. Mariani Antiques, Restoration & Custom, San Francisco, CA. Height: 32"; Width: 48"; Depth: 24"